Sophomore year broke Clementine Williams’ heart. She fell for her best friend’s boyfriend and long story short: he’s excused, but Clem is vilified and she heads into summer with zero social life. Enter her parents’ plan to spend the summer on their sailboat. Normally the idea of being stuck on a tiny boat with her parents and little sister would make Clem break out in hives, but floating away sounds pretty good right now. Then she meets James at one of their first stops along the river. He and his dad are sailing for the summer and he’s just the distraction Clem needs. Can he break down Clem’s walls and heal her broken heart? 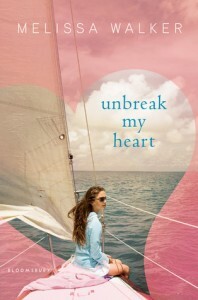 Told in alternating chapters that chronicle the year that broke Clem’s heart and the summer that healed it, Unbreak My Heart is a wonderful dual love story that fans of Sarah Dessen, Deb Caletti, and Susane Colasanti will flock to. Clementine has had the worst year ever! After falling for the same new guy at school that her BFF, Amanda, has claimed for her own, she is ostracized by all of her friends after the two go on a joy ride and don’t return for over eight hours. Suspicions are cast and even though nothing happened, Clem may as well be wearing a scarlet letter for the rest of her life. When her parents decide to spend the summer sailing down the Mississippi, she is almost relieved to be away and cut off from the drama of home life. 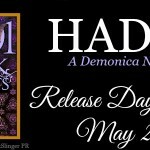 Her story is told in flashbacks of the events that lead to her fall out with Amanda. Feeling sorry for herself, she thinks she is the worst person on earth and that she will never have another romance ever. Then she meets a boy, James, that is sailing the same route as her parents. James has his own sad tale but tries not to let on to anyone how much he is suffering. As they meet in ports along the way, the two develop a friendship and Clem becomes less depressed as the trip and relationship progresses while they find renewal and joy in each other. SIGH! What a wonderful slice of teen life that even us adults can relate to and enjoy! I found myself getting a bit teary while reading about Clem’s misunderstanding with Amanda. Even though they knew each other for years, Amanda takes the side of the guy which I think hurts her even more than the abandonment of their friendship. No matter how many times Clem tries to explain, she is shut down, although by the end of the book, she has resolved to stick up for herself and let it go. This story is not something I would normally read, but I am really trying to get out of my comfort zone and I am so glad that I did! For those of us who have lived through any sort boy drama with your girlfriends, this will ring true. There is also a bit of comedic relief with Clem’s younger sister, Olive, who seems wiser than her years and knows that her big sister is suffering. Even the parents in the story are believable, something that is missing in a lot of young adult books these days. This is a pretty clean read with just a kiss here and there, maybe one or two bad words and overall a wonderful story I will enjoy recommending. It should really appeal to women of all ages and especially those fans of Sarah Dessen and Jennifer Echols. This sounds like a great book for lazing in the garden this summer. 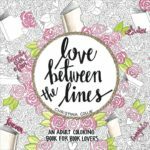 I’m not usually one to pick up a book with a lovey-dovey cover, but this sounds good! On the wishlist it goes! OH! I read Dash and Lily and loved it! That book was so creative.